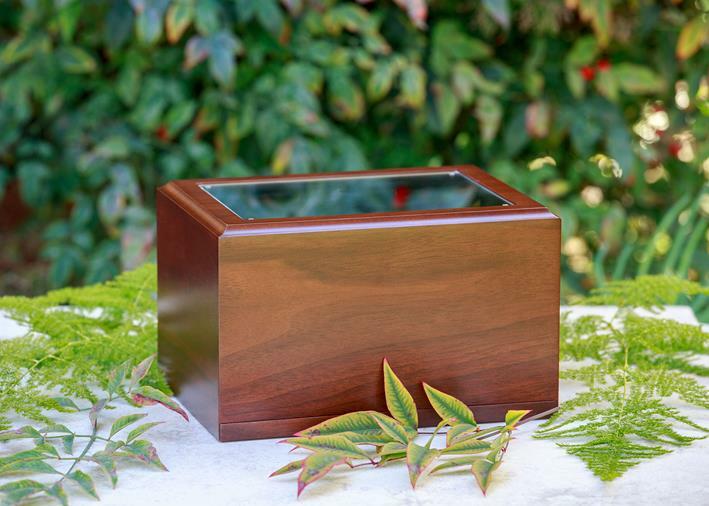 Our Deluxe Companion Chest Urn is made with a rich wood veneer exterior of Maple and is coated in a clear satin finish. The design of the urn provides for solid sides and top due to a unique sliding access panel on the bottom of the urn. The access panel has rubber, non-skid feet to protect any surface. This elegant, traditionally styled urn is made from brass. 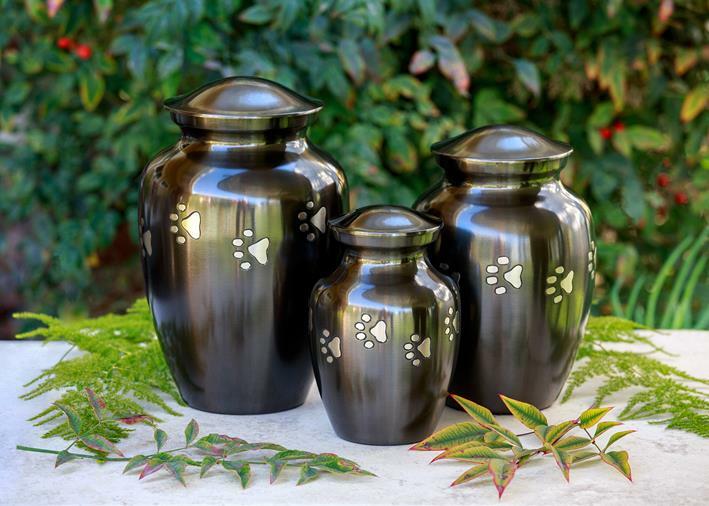 It is finished in a beautiful pewter color with contrasting, hand-etched silver tone paw prints that travel completely around the circumference of the urn. The threaded screw-on lid provides a simple, yet very secure closure. The bottom of the urn is covered with black velvet felt to protect the surface on which it will be displayed. 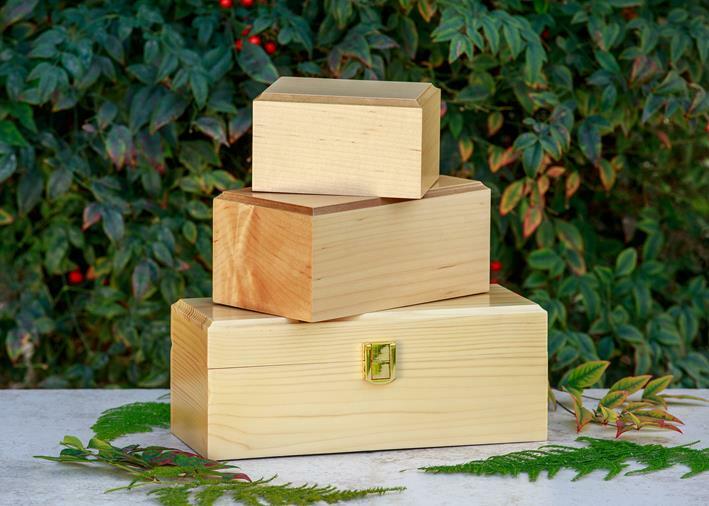 This classic chest style urn is made 100% from colorful aromatic cedar. The nature of this wood means that each urn is a little bit different and of course all have that distinctive cedar smell. The exterior mounted hardware is brass color. The chest has a hasp closure with a miniature padlock and two keys. 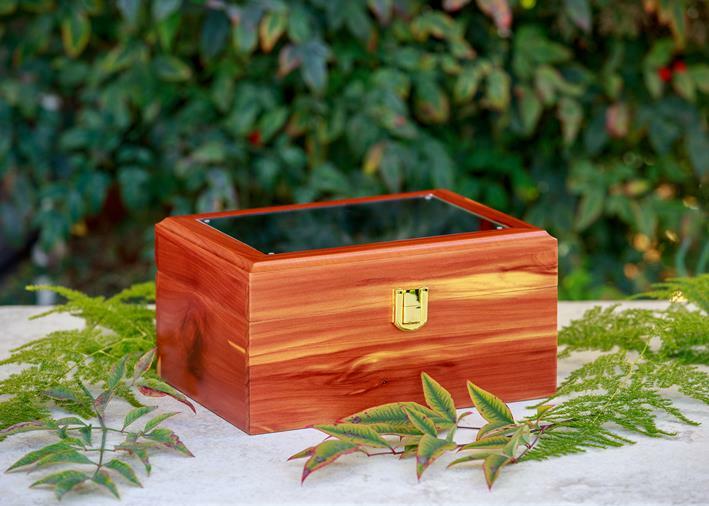 Our beautiful Cedar Memory Chest is our newest addition to our standard urn collection. 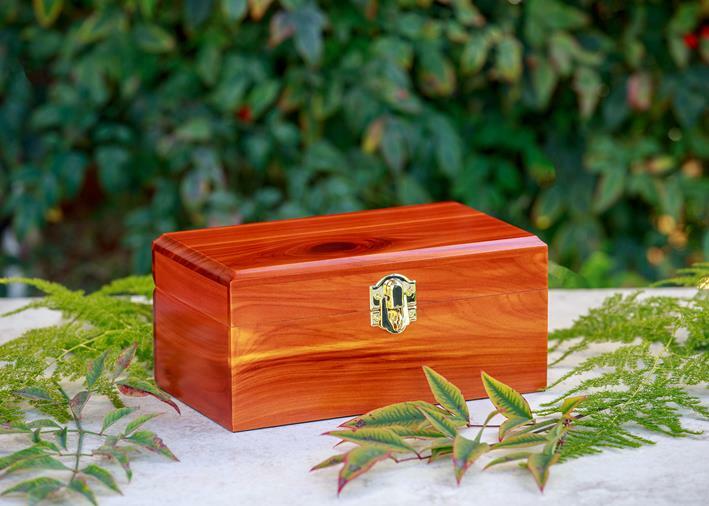 This urn is similar to the Cedar Chest Urn with a hasp closure and brass colored exterior mounted hardware. 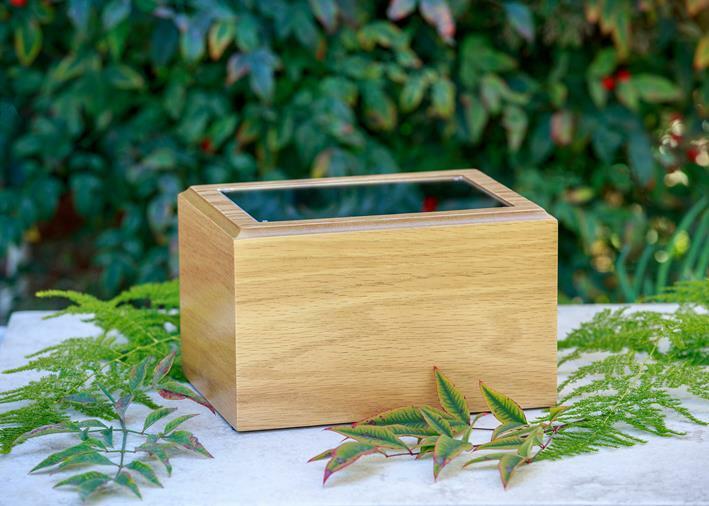 It features a unique photo frame design on top of the urn that allows you to easily insert a 4 x 6 photo of your beloved pet without ever having to open the urn. 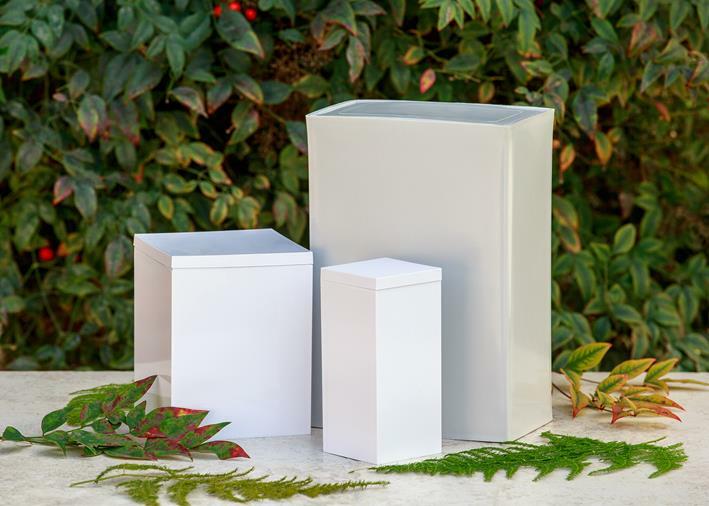 Our basic plastic urns are solid white containers which are available in three sizes.